Dawn Slow, Medical Negligence lawyer at BTTJ, is currently involved with a complex case that for our client, LWR, combined a claim involving his employer as well as a claim involving medical negligence. The client had an accident at work and injured his knee. He had pre existing arthritis. 7 months after the accident LWR was still in a lot of pain and underwent an arthroscopy, following which he could barely move his knee at all. Experts agreed that LWR should not have undergone the arthroscopy due to the complications his arthritis would cause and to do this operation was negligent. What did this mean in terms of who should settle? This made the case much more complex and we now needed to ask “Did the client’s ongoing pain arise from the accident or did it arise from the medical negligence?”. This was a difficult question as on the face of it the accident injury was a relatively minor one. 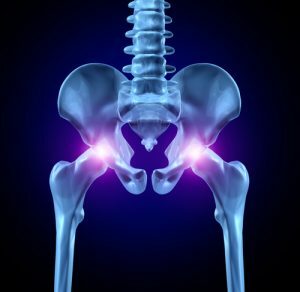 However it was necessary to ensure that there was no link between the accident injuries and the injury that occurred as a result of the arthroscopy before making any decision to settle the accident claim. If there was any link at all between the ongoing pain and the accident injuries then the whole claim for all the injuries, including those arising from the medical negligence, would have to be settled by LWR’s employers. This is because LWR would not have been referred for the arthroscopy had the accident at work not occurred and therefore all the pain and suffering he had could be directly linked back to the accident at work. Anyone who suffers an accident where they are making a claim from any third party, who then suffers what is potentially a further injury at the hands of the NHS, must first look to see if the further injuries can be linked to the original accident. If they can, all the injuries regardless of any negligence on the part of any NHS employee (or other medic), must be claimed as part of the original claim. Only injuries arising from any medical negligence that there is a fair degree of certainty cannot be linked back to the original accident should be dealt with as a separate medical negligence claim. It is extremely important that a client understands the link between the two events and how that link may or may not have been broken so the two events might end up as separate claims. Two separate experts advised that LWR would have been back to his pre accident condition within 3 months of his accident at work which was before the medical negligence took place. This meant that the two potential claims could be separated – but, there was a risk that the NHS could argue that the ongoing injuries were due to the accident at work and not due to any negligence on their part – and if a Judge agreed that argument, then, by settling the accident at work claim early, the client might risk not being able to claim for his ongoing injuries against the NHS. LWR needed a lot of very complex and technical legal advice on this which Dawn Slow gave in a way that was easy for LWR to understand – this meant he could make a fully informed decision on which step to take next and whether or not to settle his claim for his accident at work before finalising the medical negligence claim. LWR’s accident claim was recently successfully settled at £5000 and his medical negligence claim is continuing.